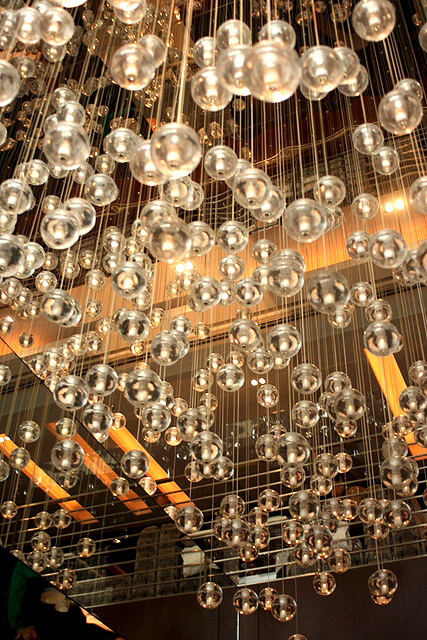 On our final day in Hong Kong, we got to check out two places at The Mira, the hotel where the Singapore Blog Award 2010 winners stayed at (and loved!) last year. I love the Mira for its spacious rooms, designer cool and modern fittings. 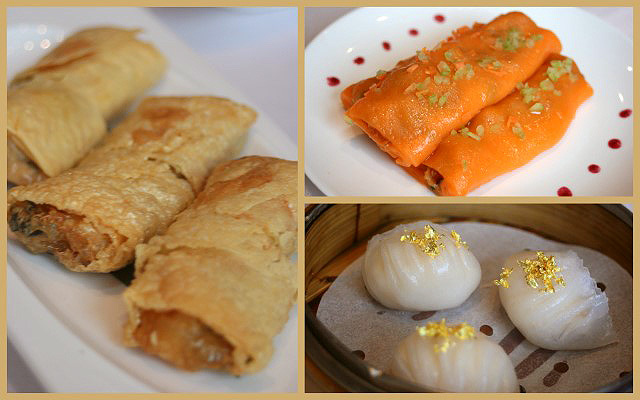 Lunch was dim sum at two-Michelin starred Cuisine Cuisine on the 4th floor. We were very grateful for the company of Connie Kwok, the Communications Manager of Miramar Hotel & Investments Ltd, who hosted us. She was also the one who introduced to us The French Window, where we had one of the most memorable meals ever. 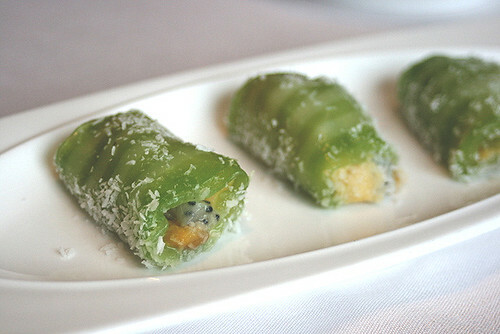 Cuisine Cuisine presents Cantonese cuisine with a contemporary edge. This is the prettiest carrot cake I have ever seen. There are some fun touches to the dim sum. Here some dumplings get an injection of flavour. 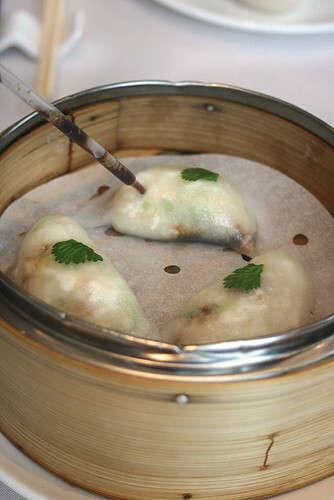 It's a novel way to eat your dim sum without worrying about messy dips. 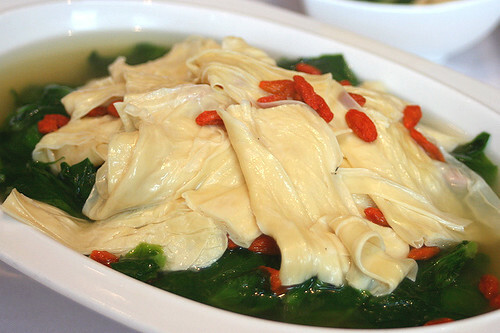 A healthy and clean-tasting dish of greens in superior stock. They have also an interesting sweet dim sum of diced fruit and custard wrapped in glutinous rice skin and shredded coconut. It almost tastes like a Nyonya or Peranakan kueh, but in a more delicate way. 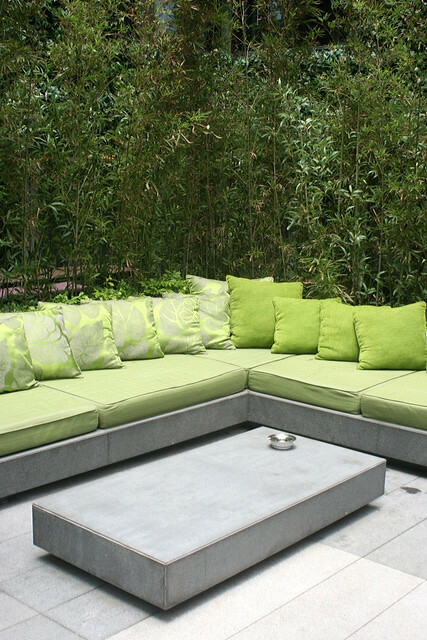 After lunch, Connie showed us Vibes, an outdoor garden concept lounge on the 5th floor. It's so stylish and lush! 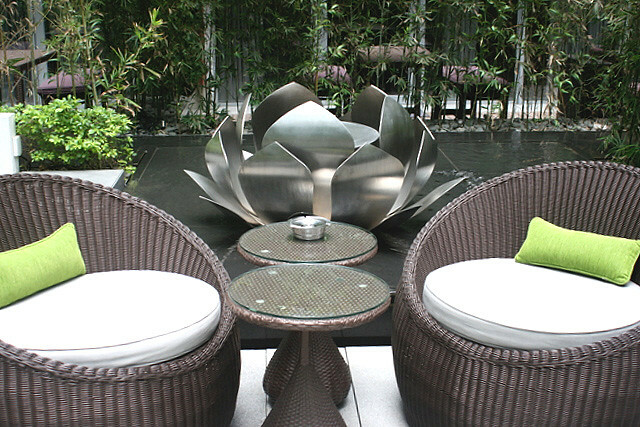 I love the brushed steel lotus-shaped firepods, flowing waterways and bamboo groves. It feels like a sanctuary for the soul. What a lovely place to chill with friends, surrounded by natural greenery. How nice to unwind here with creative cocktails and light tapas bites. I want a garden like this! 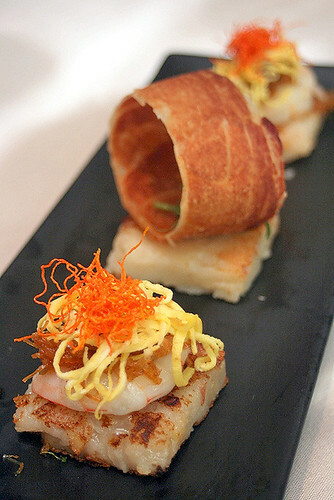 WHISK (the modern French joint headed by chef Justin Quek) is also on the same floor. 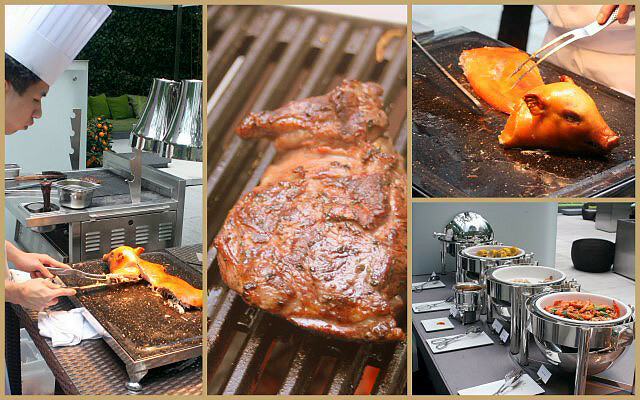 The Sunday brunch at WHISK extends outdoors to Vibes. Suckling pig and outdoor BBQ...aaah, I need to come back for this! Well, I've finally finished all my Hong Kong posts, but this doesn't feel like the end somehow. There is always so much in Hong Kong to explore, and you never feel that any amount of time is enough to take in this dynamic city (and all its glorious food). Like Arnie said, "I'll be back." I'd like to thank once more the Hong Kong Tourism Board for making this entire trip possible (I really didn't expect to win this as the prize for the Best Hong Kong Travel Blog last year). Big thanks also to Vivien for putting us in touch with Miramar, and to Connie for being such a wonderful host. And that's carrot cake? So posh! What is the buffet pricing for Sunday Brunch at Whisk?